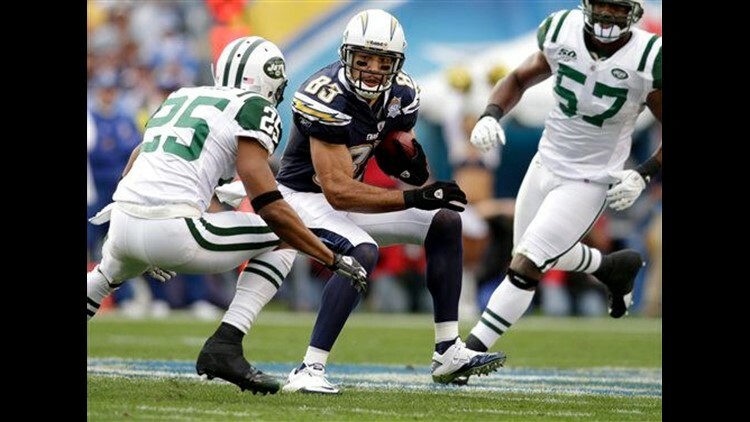 Free agent wide receiver Vincent Jackson has signed a five-year, $55.55 million contract with the Tampa Bay Buccaneers. TAMPA, Fla. (AP) - Free agent wide receiver Vincent Jackson has signed a five-year, $55.55 million contract with the Tampa Bay Buccaneers. Jackson was one of the top wideouts available in free agency once San Diego decided not to give him the franchise tag. It didn't take him long to hook up with Tampa Bay and quarterback Josh Freeman, in whose honor Jackson got all those 5s in the deal; Freeman wears uniform No. 5. The contract, negotiated by Schwartz and Feinsod Agency, will pay Jackson $13 million in each of his first two years, then $10 million for the third year. Jackson will provide a deep threat for Freeman, whose other receivers, Mike Williams and Arrelious Benn, are more short-range targets.